As a small charity, CharityComms knows the strength of its size. We’re able to get really close to our network and involve them in everything we do, which in turn allows us to reach charity communicators with our portfolio of events, resources and templates when they need it the most. For small charities, being small is the superpower to achieving big things. There are tons of exciting and innovative things being done by small charities everywhere, all the time. They take advantage of their nimbleness and resourcefulness. If anything, this shows us that no matter what size your organisation, big or small everyone can learn from each other. 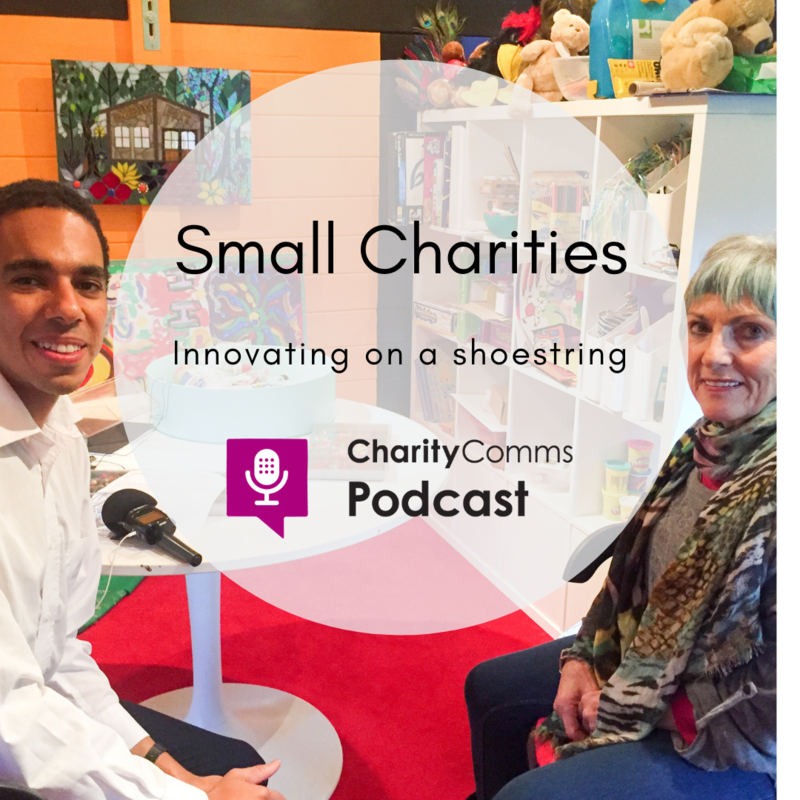 For our latest podcast we spoke to comms and digital leads at two small charities who presented at the CharityComms Small charities communications conference 2018. What was interesting about their experiences was that they undertook projects which could be have been costly and challenging while working with the budgets and resources they had, and by making the most of their size to innovate, test their assumptions and get stuck in. First up, we spoke to Scott Roberts, formerly PR, communications and celebrity manager from Haven House Children’s Hospice who told us how and why he started podcasting at the hospice – a podcast about podcasting, yes we loved it! We also spoke to Sarah Rughoonundon, digital lead, and Gemma Collins-Ellis, communications manager from Bliss about the charity’s award winning digital strategy which has seen the organisation’s whole approach to digital transform. It’s compelling and inspiring stuff even if you’re not based in a small charity. If you’re interested in podcasting at your charity, check out this article on podcasting based on our experience. We’re also keen to hear from people who are considering giving it a try, so drop Robyn an email or tweet us! We’ve had some amazing conversations with people who are interested in podcasting, and we’re looking forward to more podcasts from our network. You can also get in touch with us personally, Robyn’s on Twitter @RobynLewes and Sushi is @sushi_juggapah. Listen to this episode on AudioBoom from your desktop or download from the podcast app on your iPhone. You can also find it on Spotify. You can also download a copy of the full transcription.